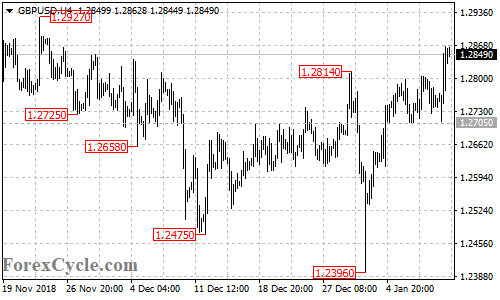 GBPUSD broke above 1.2814 resistance, suggesting that the uptrend from 1.2396 has resumed. Further rise could be expected and next target would be at 1.3000 area. Key support is at 1.2705, a breakdown below this level could bring the price back to 1.2550 area.